Bill Taylor with his late father, Justin Taylor, the patriarch of Taylor Shellfish Farms, who could be found walking the tide flats most daylight tides up until the age of 90. 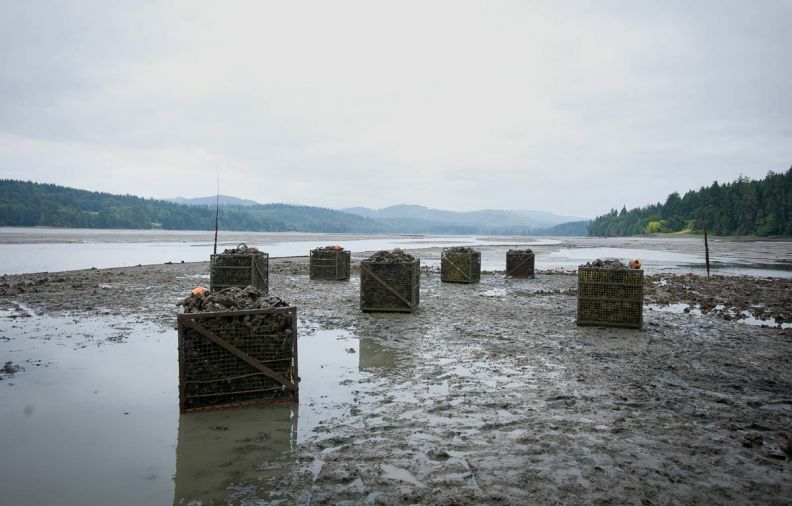 The clam and oyster seed nursery at Taylor Shellfish, also known as FLUPSY (Floating Upwell System) in Shelton, Washington, the largest facility of its kind in the world. Sunlight on The Zora, an oyster work boat packed with tubs of oysters harvested by hand or pitchfork. As one part of their sustainability plan, Taylor Shellfish builds and maintains their own boats, farming equipment, and a fleet of vehicles. “Because when you are thinking in 50 year cycles, that makes sense,” says Marco Pinchot, Community Relations and Sustainability Manager. 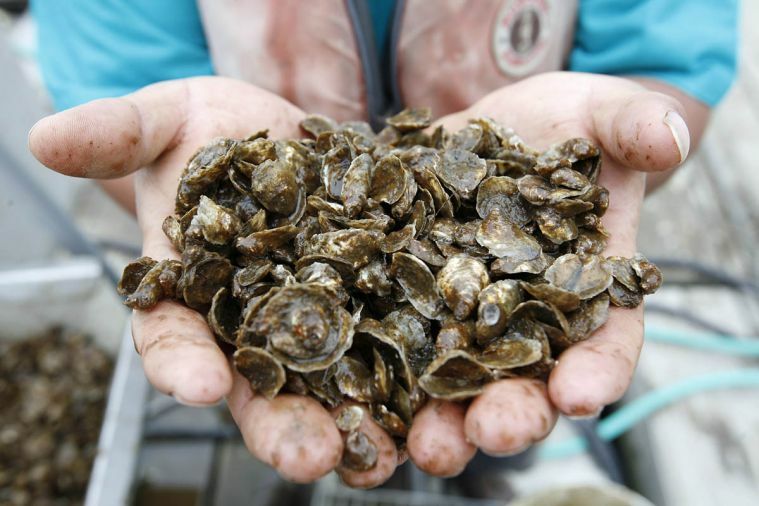 Taylor Shellfish Farms was one of the first shellfish farms to be certified by Food Alliance, a non-profit organization that certifies farms, ranches, food processors and distributors for sustainable agriculture and business practices. Forking oysters into tubs for harvest, low tide, Oyster Bay. Most oysters are harvested after two to three years of feeding and growing in the bay. Totten Inlet oyster harvest, where Taylor Shellfish grows their coveted Totten Virginica oysters known for their clean, briny splash and slight mineral finish. 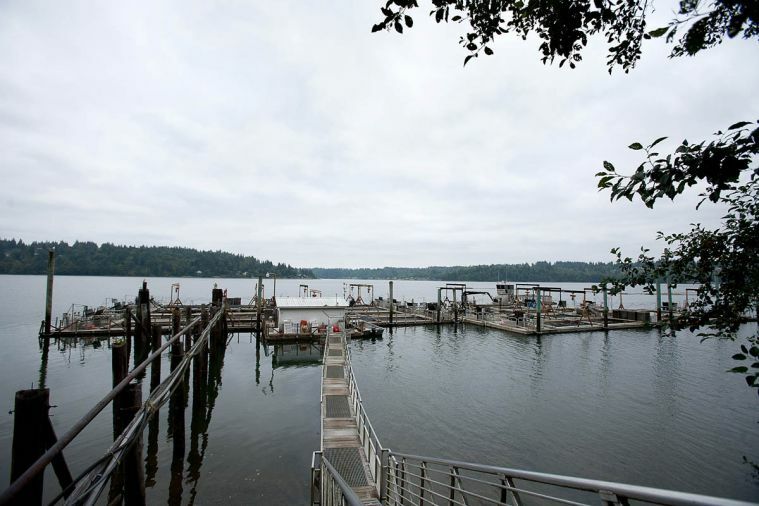 Totten Inlet is also where the annual Walrus & Carpenter Picnics are held, a late night winter fete that benefits the Puget Sound Restoration Fund. The oyster seed grater at FLUPSY (Floating Upwell System) in Shelton, splitting different sized shells into similar cohorts. The smaller shells fall to the bottom, the larger remain on top. 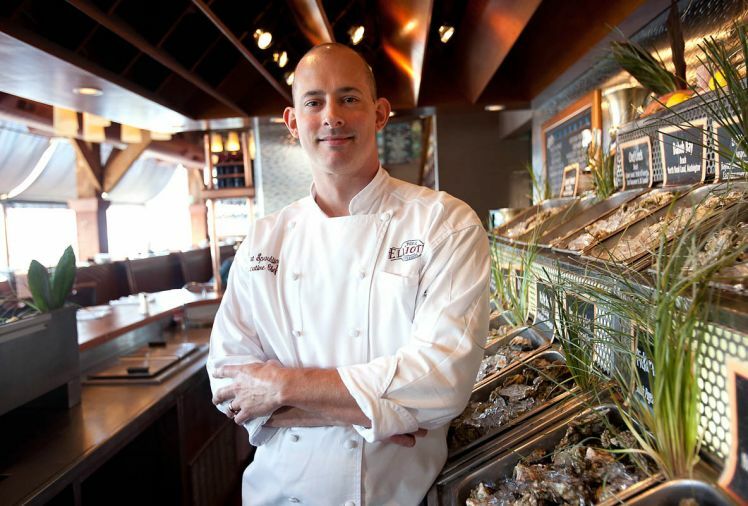 Seattle’s Elliott’s Oyster House chef Robert Spaulding serves its namesake bivalve all year 'round. Every oyster on their menu comes from carefully managed, certified growing areas. Even though it’s long past sunset, Totten Inlet is aglow. Lanterns flicker like fireflies across the bay, and Orion’s Belt glimmers in the night sky. Ice and oysters clink and chime, like wine glasses in a celebratory toast, as shells are tipped, shucked and tossed. Rowley is a true oyster devotee; he can recount oyster-eating parties with the likes of Julia Child and recites the infamous oyster quote by writer Ernest Hemingway with ease. Ever since he ate his first oyster by moonlight at Taylor Shellfish Farm, he’s been caravanning lucky groups on windy roads to Totten Inlet for the rarest oyster fete. Eating oysters by moonlight enchants, even more so when standing on a bed of bivalves growing beneath your feet. And timing is everything. “We need a low minus tide that happens between 8pm to 10pm in the evening,” says Rowley, of his poetically deemed Walrus & Carpenter Picnics. Since this occurs only a few nights each winter, the magic truly is found in the tides of Totten Inlet. All year long, though, the inlet holds an allure. Totten is one of five long, narrow inlets in the Puget Sound, framed by tall evergreens and often painted in a shroud of fog. The area is home to some of the most famous oyster appellations in the nation—and nurtures five oyster species: the Olympia, Kumamoto, Pacific, Virginica and European Flats. “At this time of year, a Totten Virginica right off the beach, it’s hard to beat,” says Bill Taylor, of Taylor Shellfish Farms. It smacks of a sea-salt kiss: crisp, brisk, briny. A hallowed ground for oysters, the south Puget Sound is fed by seasonal freshwater from the Olympic and Cascade Mountain watersheds. The ample fresh water that runs into the Puget Sound basin, boosts the production of algae. Oysters grow quickly, thriving in this algae-rich water; the result is a crisp, firm, full oyster. In his book, “A Geography of Oysters,” author Rowan Jacbosen calls Washington state “oyster nirvana.” It’s the perfect confluence of geography, geology and climate, creating ideal growing conditions for high quality oysters. “Nowhere else possesses such an amazing jumble of landscapes, of oyster species, and of nuanced oysters,” writes Jacobsen. Similar to wine grapes, oysters reflect the taste of where they are grown. This taste of place in wine is called terroir, a French word that loosely encapsulates land, soil, aspect and weather. For oysters, the essence of place is merroir, a term coined by shellfish guru Jon Rowley. 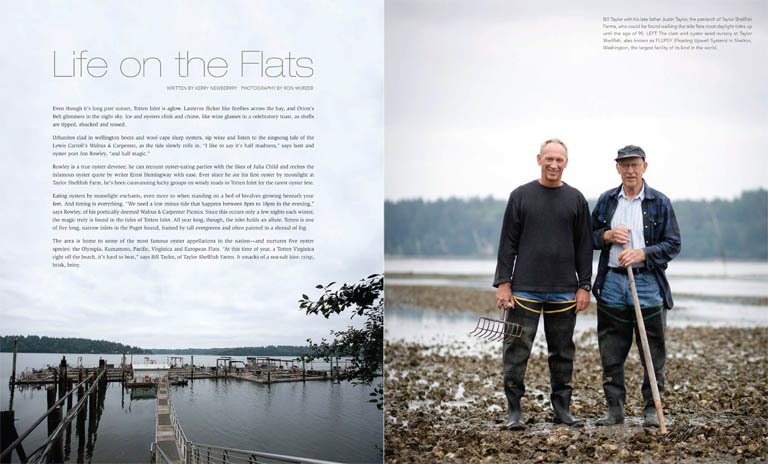 Bill Taylor, of Taylor Shellfish Farms, is deeply rooted to place, here in the south Puget Sound. “Our family has been in the oyster business for about 120 years,” he says. The Taylor legacy reads like a Wild West tale. The story begins with his great grandfather, who tried his hand at everything from ranching with Wyatt Earp in Arizona to searching for gold in Alaska. Luckily, the elder Taylor landed in Washington in the 1890s and began farming the tiny Olympia oyster, the only oyster native to the West Coast. 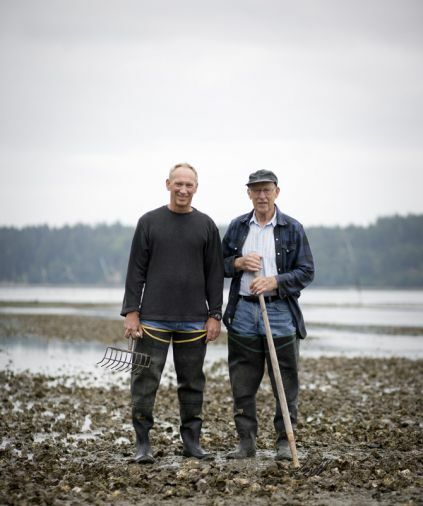 Today, Bill and his brother Paul, along with their brother-in-law Jeff Pearson, are the fourth generation of his family to run Taylor Shellfish Farms, the largest producer of shellfish in the United States. 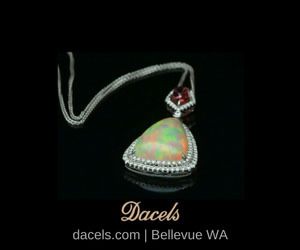 The modest headquarters sits in the tiny town of Shelton, Washington, near Totten Inlet, where Bill and his brother began working the mudflats at the ages of five and seven. “We always enjoyed the activity and being outside,” says Taylor. At that time, most of the families living on the bay were shellfish farmers. When Taylor speaks of the other shellfish growers in the area, he smiles when he recounts that most of them share great grandfathers who were also farmers of the tidelands. 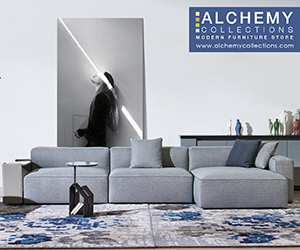 The business is an art built on legacy. An alliance grows when you work a piece of land from dawn to dusk, from youth to adulthood. “You develop special connections to places you work,” says Bill. In college, a friend convinced Bill to travel around South America for a few months. The classmates worked six months prior digging clams in “Chapman’s Cove” to afford the trip. Bill and his brother Paul returned to the family business after college, in the early 1980’s, when shellfish hatcheries were starting to become commercially viable, before that, the business was built on harvesting what nature provided. In 1990, Taylor Shellfish built their first hatchery, which transformed opportunities, moving from gatherer to farmer. 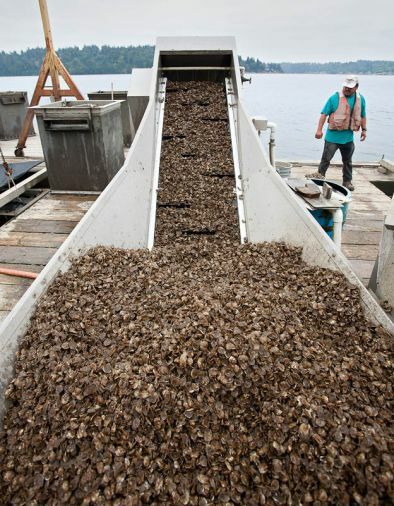 Most Taylor Shellfish oysters begin in hatcheries, one in Quilcene, Washington and the other in Kona, Hawaii. Between the two spots, Taylor Shellfish raises seven billion oyster larvae annually. The role of the hatchery is to provide the perfect conditions for male and female oyster to spawn. 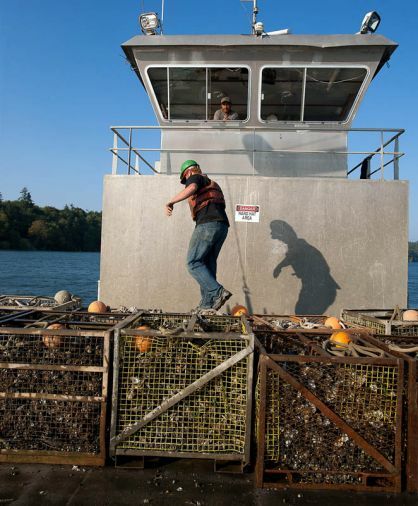 The baby oysters are shipped to farms in bundles about the size of a large baseball. Each bundle, resembling a black ball of sand, is equal to about ten million baby oysters. Once released into temperature controlled tanks; they will tap around, seeking a suitable substrate to attach to—in this case, a recycled oyster shell. Depending on the time of year, the farmer will move the oysters into the bay, where they will feed on a variety of rich micronutrients and grow. The average growing cycle spans three to five years, and varies by oyster species. The business of oyster farming is sustainable business and good for the environment. Oysters are filter feeders. As they consume tiny plankton, they filter their food from water, improving water quality. The bivalves not only help clean the water, they are dependent upon the water being clean. For these reasons, it’s very ingrained in the oyster industry to act as environmental advocates. Each generation in the Taylor family has encountered environment-related challenges along the way. “Water quality is a major issue for us,” says Bill. In the 1980s water quality in the bay was tainted by local pulp mill pollution; current issues are tied to ocean acidification, a much broader, far-reaching, global challenge. The industry has been collaborative both within itself and with the academic community, says Bill, when speaking of their cohesive voice on environmental issues. “A rising tide raises all boats,” he says. In addition to facing challenges together, the industry works jointly on advancing technologies. Eating a raw oyster is akin to food ritual: the lift of the shell, the slight tilt, the kiss of lips, splash of sea-salt, taste of place. Poet Seamus Heaney captured their essence best when he wrote: “My tongue was a filling estuary / My palate hung with starlight / As I tasted the salty Pleiades / dipped his foot into the water.” It’s a sensual reminder to slow down in a world that moves so fast. The two most famous appellations in south Puget Sound are Totten Inlet and Little Skookum Inlet, and since Little Skookum is actually a tributary of Totten, the two often are thought of interchangeably. Both have seriously algae-thick waters, leading to market-sized oysters in a year or less. But differences exist. While Little Skookum is basically a creek bed that fills at high tide, Totten is ninety feet deep in places and much more a creature of the sea. It produces oysters with the rich seaweedy flavor South Sound is famous for, but a bit saltier and less earthy than Little Skookum. 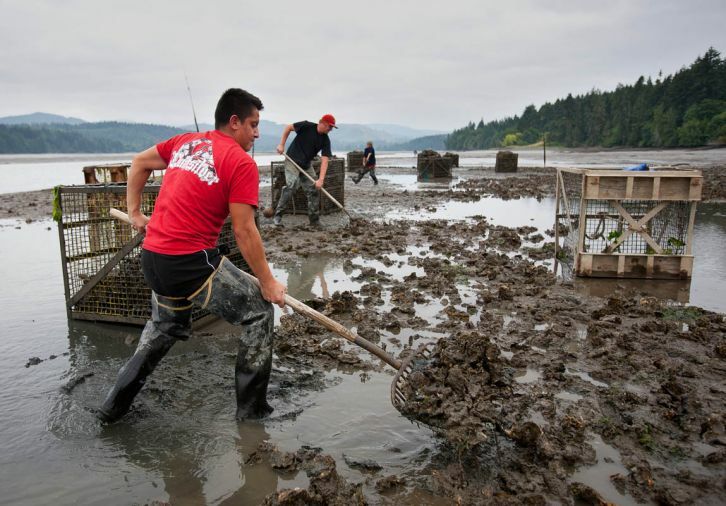 Little Skookum oysters get first crack at the intense brown and green mudflat algae that develop at the head of Little Skookum, while Totten oysters get a mix of those mudflat algae and ones that grow in deeper water. Many believe the resulting oyster to be the perfect combination of flavors—strong, but still combination of flavors—strong, but still sea. Taylor Shellfish also grows an Eastern oyster in Totten Inlet. With the incomparable springy texture of an Eastern oyster and the ripeness imparted by Totten Inlet, the Totten Virginica is a great oyster, and demand regularly outpaces supply. Worth seeking out.